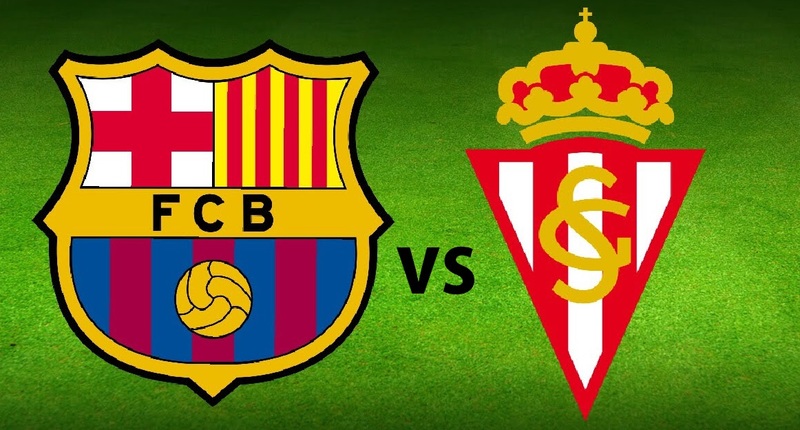 Barcelona Vs Sporting Telecast In India, IST Time: Barcelona will host the Sporting Gijon on Saturday. Barca beat Deportivo La Coruna 8-0 on Wednesday to stay top but still Atletico Madrid and Real Madrid are in the title race. The miserable form in the last week put Barcelona out from the Champions League run and also widely open the La Liga race for their competitors. Check out the details of Barcelona Vs Sporting match. Telecast channels Sony Espn, Canal+ Partidazo, Banono Futbol 1 etc. Telecast in India: Watch Barcelona Vs Sporting match live on Indian TV telecast channels Star Sports. It will begin at 7:30 pm on 23rd of April 2016. After dealing with Depor, the Barca side can’t afford anymore slips between now to till their last La Liga fixture as Atletico Madrid now level on points and Madrid just one point behind them. Sporting late dramatic win against Sevilla on Wednesday keep their hopes alive to get rid out of from the relegation spot. Currently, they are in the final relegation spot along with Granda & Getafe. Earlier this season, Barcelona defeated Sporting with 3-1. Will Sporting shock Barca or Barca will earn easy win.